EVER WANTED TO HOST YOUR OWN FIREWORKS DISPLAY? Well now you can with our easy to use self linking fireworks, If you would like this already done for you then check out our compound fireworks - same concept just already pre linked on a fixed board. Display kits are a box of fireworks usually with three or more barrages that have 2 fuses on the top of each firework giving you the option to link the fireworks together so that you can enjoy a longer duration firework. Once linked together they will produce a continuous display, while all you need to do is kick back and enjoy the spectacle. This type of firework is perfect for bigger gardens and bigger firework parties. 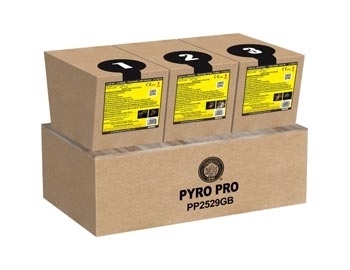 These fireworks produce a huge display and are great when used in organised displays too!